It’s been a while I know. I am still in recovery for the broken ankle. I had a few complications with the healing process but I feel like it is slowly getting there. Just nowhere nearly as fast as I would like. Anyway, I have moved to be closer by the sea. 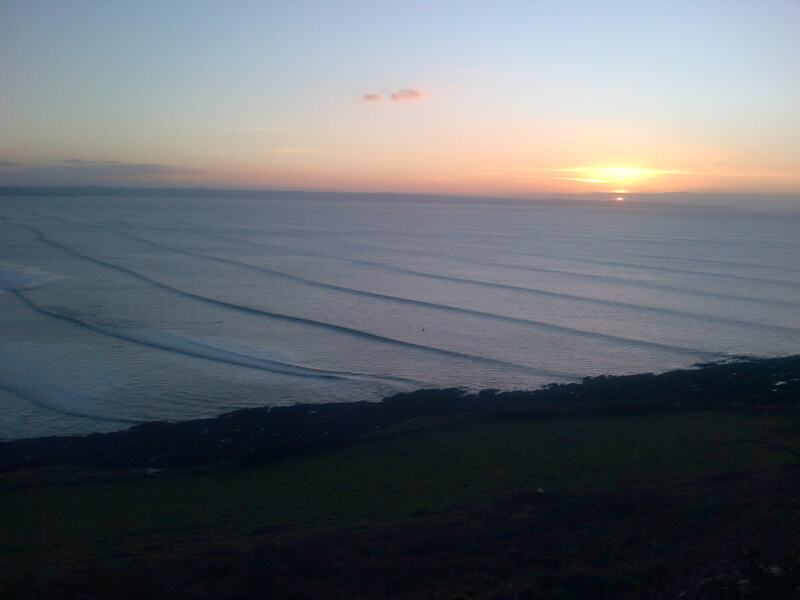 North Devon to be exact so within spitting distance of the nations favourite beachie Croyde. Took a drive down to see the sunset this evening and it appears the new swell is already filling in. It was not supposed to arrive until tomorrow. Chest high, clean, lots of rights and a stunning backdrop, what more could you ask for? Previous Baywatch Superfreak – Kelly Slater Next North Devon – Croyde, Saunton and Castrol Oil? Awesome photo! Waves look fun.